We all have those forgetful moments, but as we age they can become more prominent and frequent. U.S. Memory Care estimates that 5.1 million Americans are living with Alzheimer’s disease, and by the year 2050 nearly 20 percent of the population – 88.5 million – will develop Alzheimer’s disease. The numbers are quite scary, so it’s important to do whatever you can to preserve memory. Well, research now suggests that you can give your memory a quick boost – up to 15 percent, in fact – with one simple trick. The findings come from Northumbria University where researchers observed a boost of memory in participants after sniffing peppermint and rosemary. At the same time, lavender was found to impair memory, and chamomile slowed down the speed of memory and attention. The researchers tested cognition and memory in 108 participants prior to and after drinking peppermint and chamomile tea. A control group drank warm water for comparison. The researchers found that peppermint enhanced cognition and mood, while chamomile slowed these down. In an alternative study, 150 participants over the age of 65 were placed in rooms scented either with lavender or rosemary. The control room had no scent at all. The participants had taken tests to assess prospective memory as well as a mood assessment test. Prospective memory is the ability to remember to complete a task at a given moment – for example, taking medication at a specific time. Those participants in the rosemary-scented room had significant enhancements in memory and scored 15 percent higher, compared to those in the non-scented room. The participants in the lavender room displayed a significant increase in calmness, but a decrease in memory. “It is interesting to see the contrasting effects that different herbs can have on both mood and memory, and our research suggests that that they could have beneficial effects, particularly in older age groups. If you were otherwise healthy then this research suggests that there is an opportunity to have an improved memory,” Dr. Moss concluded. 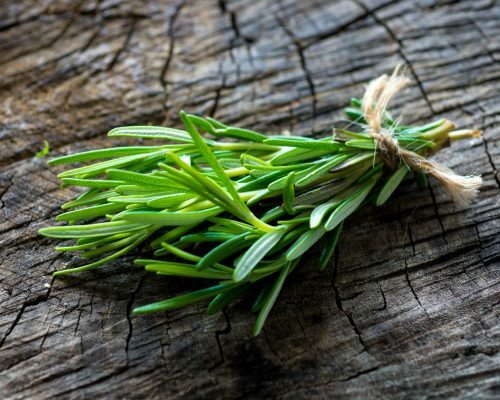 The next time you have to remember an important task or date, sniff some rosemary or peppermint to ensure you can recall it later on. You may also wish to scent certain rooms in your home with such scents in order to promote memory throughout the day.